Located in Prosper Texas, Willow Ridge and Lake La Cima are two of the newest communities with beautiful homes and amenities. Willow Ridge is located near Preston Road and Highway 380. It features a community swimming pool and numerous parks with homes from $300,000-$620,000. 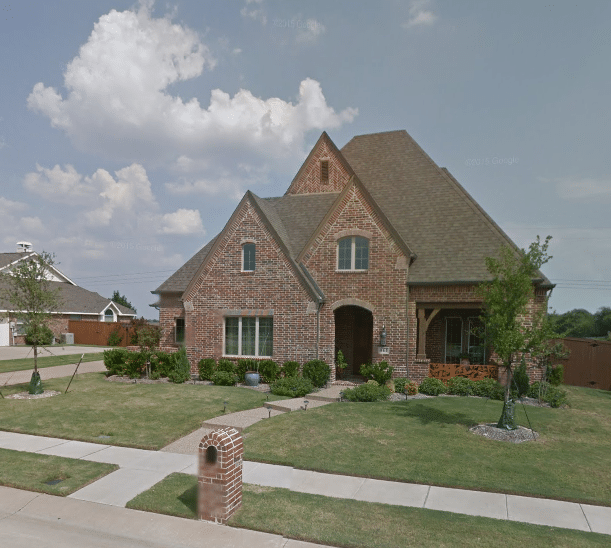 These gorgeous, two story brick homes are some of the newest in prosper Texas. Enjoy four and five bedroom layouts with expansive 4000 square-foot designs or more. Most homes boast three car garages and sit on a third of an acre. Willow Ridge is located just west of the Lake of La Cima and are often referred to as the same area. Willow Ridge is home to about 850 residences and nearly all are homeowners. There are very few investment rentals in this community. This exclusive enclave of several dozen homesites is nestled in the heart of Prosper just minutes from Frisco and the Dallas area. Most homes are either one third or 1/2 acre homesites with close proximity to major highways and of course in the highly desirable Prosper Independent School District. Residents of Willow Ridge utilize the Steve Folsom Elementary, the Lorene Rogers Middle School and the Proper High School. All of which receive excellent scores for academics and education. Interior features include decorative lighting, high-speed Internet, vaulted ceilings, bay windows, plantation shutters, wet bar, wiring for sound systems, at least one or two fireplaces, gas fireplaces and most appliances. These homes are spacious with lots of open floor plan designs. These homes were built by David Weekley homes, Highland homes and Drees homes. Residents enjoy private ponds and lakes, walking trails and many homes have backyard swimming pools, attached spas and outdoor living spaces. Several homes have seen a variety of upgrades and most homes were built within the last 5 to 10 years if not over the last year. The Lakes of La Cima is a subdivision just east of Willow Ridge and features a few more homes with the La Cima Boulevard running north and south to the center of this community. The neighborhood is divided with the Pecan Grove Park, which includes a small Lake and trails. There is one connecting Road between the two communities located in the middle otherwise residents will need to use the one way Avenue on E. 1st St. or University Drive (Highway 380). The Steve Folsom Elementary school and the Lorene Rogers middle school both located within the Lakes of La Cima. This community is nestled around three small lakes and feature a variety of walking, jogging and biking trails wrapping around the entire community. It offers an active lifestyle with playgrounds, a swim Park and a splash pool for kids. This master-planned community offers top-quality lifestyle with high-end homes and beautiful designs. Of course it’s located in the coveted Prosper ISD with top rated schools and educational resources. These homes are all energy Star certified and homeowners dues around $500 or build annually. These homes, built by Gallery Custom Homes, feature 10 floor plans from 3100 ft.² to nearly 5400 ft.². They include four and five bedroom layouts with 3.5 to 5.5 bathrooms and three car garages each. There are a variety of one, one and a half and two-story designs to choose from. Homes start at about $450,000. For more information on either of these two communities contact my office today or begin your search for all homes in this neighborhood below.